The sturgeon-nose canoe Paul Montgomery built for Harry Wong brought Harry closer to his Sinixt ancestors. 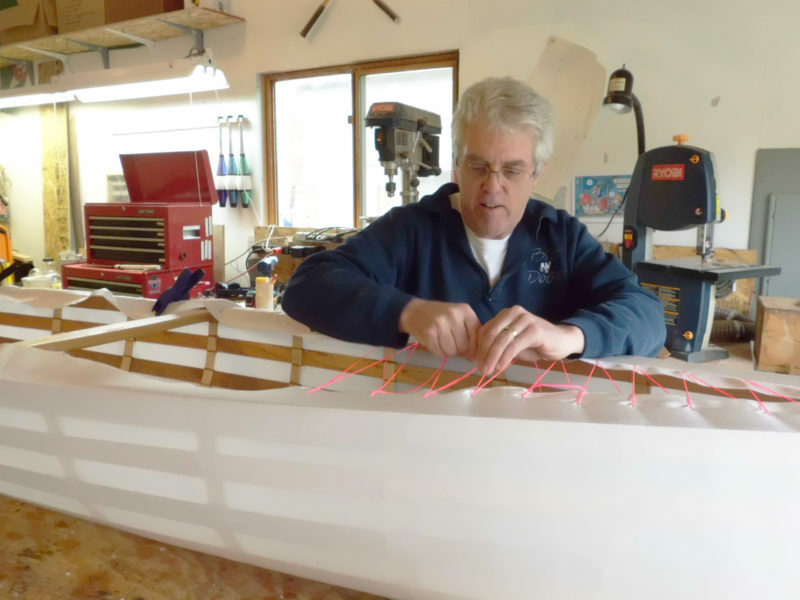 Paul Montgomery of Kirkland, Washington, usually has plenty to keep himself busy whether it’s building skin-on-frame boats, keeping bees, tending a greenhouse, or making musical instruments. So when Harry Wong of Seattle called Paul, hoping he’d build a canoe for him, Paul initially turned him down, saying he was too busy. Harry mentioned that the canoe he had in mind was a sturgeon-nose canoe, the kind his grandfather used. That was all it took to get Paul to clear his workbench and his calendar. Harry is a member of the Sinixt tribe, a First Nations people who lived in the area around what is now the land spanning the Washington–British Columbia border. The Sinixt had developed an unusual style of canoe, known as sturgeon-nose for the resemblance of its ends to the head of the ancient species of fish that inhabit the rivers in that area. Paul made a model for himself after he delivered the canoe to Harry. Left unskinned, it’s a more interesting piece of sculpture. Paul knew of that type of canoe from The Bark Canoes and Skin Boats of North America, by Tappan Adney and Howard Chappelle. In that volume, the sturgeon-nose canoes are associated with the Kutenai; the Sinixt also have a long history with the type. A similar type of canoe emerged in the Amur River valley, which now straddles the border between northeast China and southeast Russia. The three-piece gunwale, lashed together, caps the frame heads. The sturgeon-nose ends is said to make the canoe more manageable in wind and ease its passage through reeds. This shape is also conducive to construction with tree bark. The Sinixt used the bark of white pine, with the smooth inner surface of the bark to the outside of the canoe. When canvas was introduced, it was used for the waterproof covering. After burning holes in the nylon, Paul drew the skin tight with lacings. 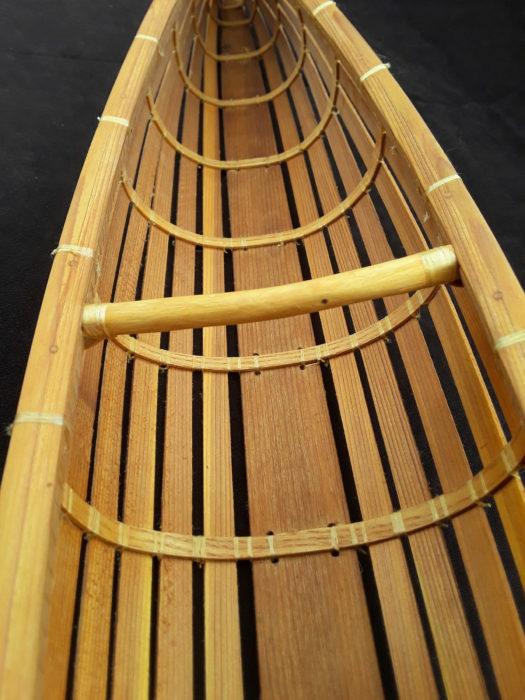 Paul would use nylon for the skin of Harry’s canoe, so it would be quite similar to the later canvas versions built by the Sinixt. 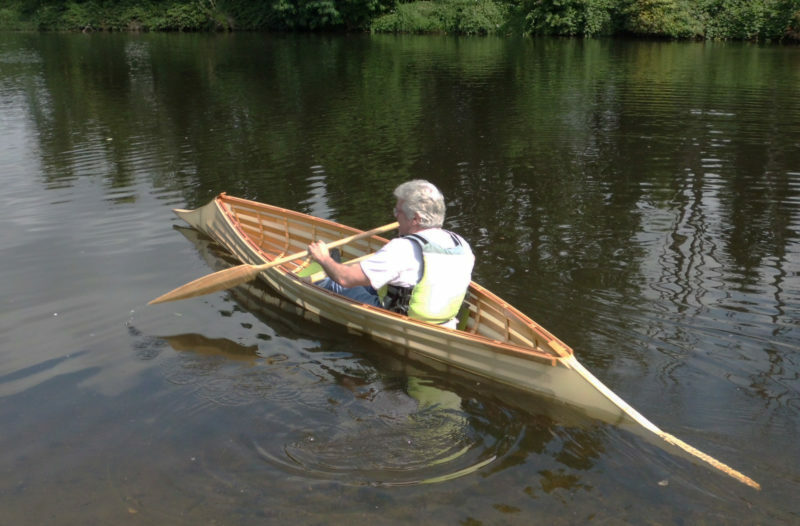 Working from whatever information he could find, particularly the drawings in Bark Canoes and Skin Boats, Paul made the gunwale in three parts, inwale, outwale and cap, boxing in the heads of the bent ash frames. Getting the frames right took two tries. The first set was too round, making the canoe unstable. The second set made the bottom flatter for better stability. The thwart, shown here in the model, was traditionally made from a barked sapling with its ends thinned and wrapped around the inwale. The long tail ends are then lashed to the bottom of the thwart. A single thwart holds the gunwales apart. 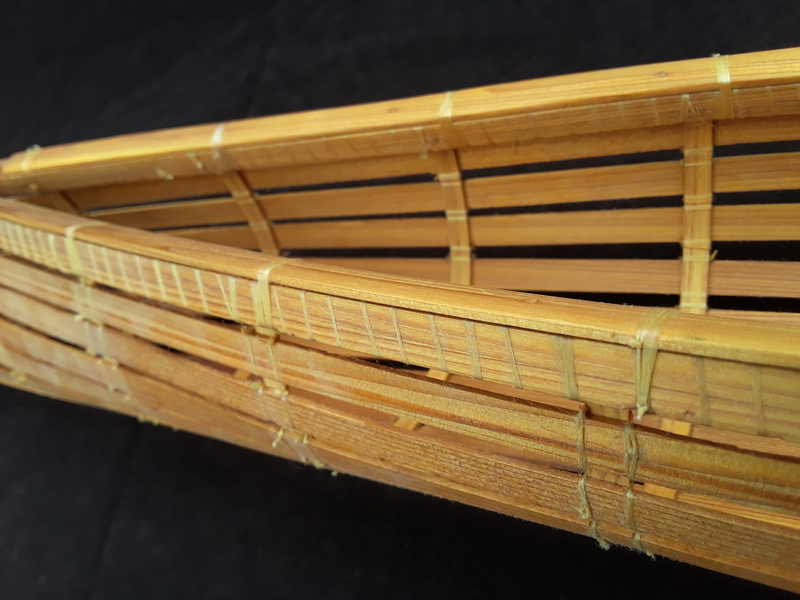 Unlike many of the other skin-on-frame boats he’d built, the skin would not be supported by widely spaced chines, but by closely spaced inner planking made of 5/16″-thick western red cedar. A wider plank at the bottom, 4″ across at the middle, was 16’ long, establishing the overall length of the canoe. Pegs and nylon lashings, in the form of artificial sinew, hold everything together. The nylon skin went on, stretched tight over the frame, and sewn along the tops of the stems. A polyurethane coating sealed the fabric so it would be waterproof, durable, and easy to maintain. Paul’s first opportunity to paddle the canoe he built was on the day he delivered it to Harry. Old photographs of the traditionally built, bark-skinned canoes show native paddlers kneeling as well as sitting. Paul and Harry launched the canoe at a slough that flows into Seattle’s Lake Washington. In his research, Paul learned that the canoe was rather unstable and upon getting aboard, noted “unfortunately, I got this part right.” The canoe took some getting used to when paddled solo; with the two of them aboard, it was better behaved. It tracked well and wasn’t bothered by a crosswind. Having a second paddler in the 16′ canoe submerged the tip of the bow, and it tended to accumulate floating weeds that had to be knocked off with a paddle to keep from losing too much speed. In many of the old photographs of traditionally built Sinixt canoes, the tip of the bow is rarely seen submerged; evidently the form is not meant to provide a hydrodynamic function. For Harry, the canoe is more than a recreational vessel. It’s a link to his ancestors. His maternal grandfather was Alex Christian, known to his family as Pic Ah Kelowna, meaning “White Grizzly Bear.” He was the last of his family to live at the confluence of the Columbia and Kootenay rivers, land now occupied by the city of Castlegar, British Columbia. Christian’s ancestors had lived there for centuries, but the land was acquired by the British Crown at the end of the 19th century. He gathered his family aboard a sturgeon-nose canoe and paddled downstream along the Columbia River. The Christian family and the Sinixt people did not fare well in the 20th century, suffering through poverty and disease. Alex outlived his wife and children; he died of tuberculosis in 1924 and was buried in Washington, far from the graves of his ancestors. To add insult to injury, Canada declared the Sinixt extinct in 1956. Harry takes his canoe to many river- and lake-side gatherings and lets people give it a try. Of course, the Sinixt have lived on, and their existence was officially recognized in 2017, bringing an end to six decades of “extinction.” Harry and many other Sinixt now live in Washington. Harry takes the canoe to gatherings of the tribe and is happy to let anyone paddle it. Just the sight of the canoe, he reports, has brought several of the elders to tears. Thank you, Paul, for sharing about your boat and its people and history. I have built 2 Pygmy kayaks, so I have some sense of what you have done. 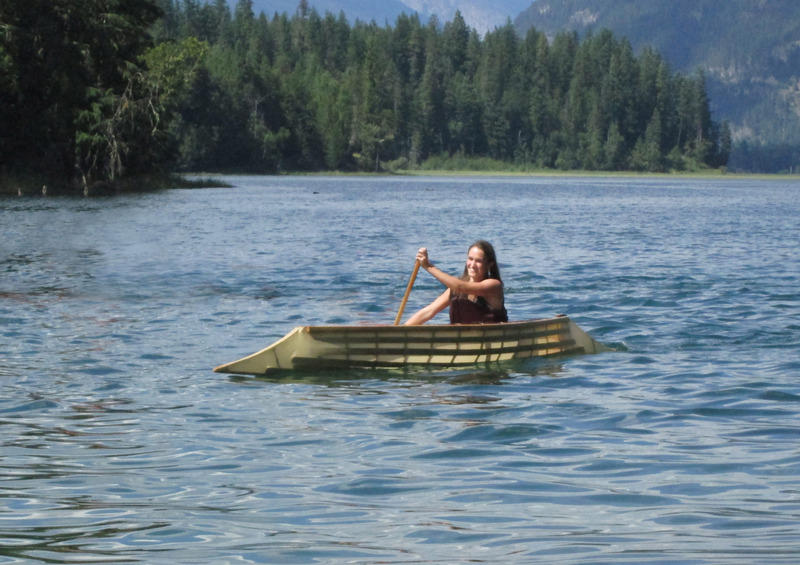 My daughter lives in Port Townsend, which is a great place to paddle. I live in Oregon. Great looking craft. Nice job Paul. A very informing article. I, myself had never heard of the Sinixt People. 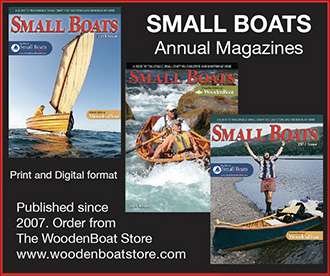 Thumbs up to Chris and Small Boats Monthly for enlightening me. See! At 70 you can still learn. Thanks all. I built this because it was an opportunity to do something unique and different. I never thought that it would touch so many people or that I would have a book shelf with information about an “extinct” people. Beautiful result of a really worthwhile project! This is really “experimental archaeology” – like Thor Heyerdahl’s KON-TIKI and RA expeditions on a smaller scale, creating a living connection to the past.